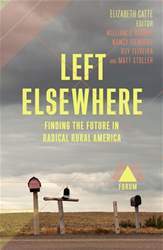 ELIZABETH CATTE HAS PROVIDED a powerful corrective to conventional wisdom about rural America. Too many urban progressives view rural America as outside their “bubble.” This is not only condescending but wrong. Like other Americans, rural Americans have always known their own interests, and rural progressives have a strong track record of organizing to protect them. Catte reminds us that the struggles against coal companies in Harlan, Kentucky, in the 1930s, and the struggles of teachers in West Virginia more recently, are all part of a powerful collective action narrative.